Just over a year later, I was about 8 months into a new job at a web design company, who coincidentally happened to have Lunapads as a client! They even remembered me thanks to my incredibly recognizable last name. I ended up getting to work with them, assembling their monthly e-newsletters (which you should sign up for so you know when there are sales! ), and was always thrilled to get a sneak peek at what the new stories and specials were before anyone else. It was also great to get a bit of insight into how the company works, and who was behind these fantastic products. Years after moving on to another job, I've continued to be an extremely happy customer, and it's been amazing to see how the company has grown and progressed, and also how dedicated the company's owners are to helping make women's lives better while caring for the environment. The other Lunagals who make up the rest of the company's staff are equally dedicated and delightful - they're always incredibly friendly, and go out of their way to help with any questions or curiosities customers have about their products. They've really built a great "corporate culture", with loyal, long-term employees, and local manufacturers. It's visible everywhere in their business from their Blog and their informative and entertaining How-To videos, to their Facebook and Twitter pages. All are full of personal stories and great information. The gratitude wall in their office shows exactly how much people appreciate their work - it's full of thank-yous from around the world. 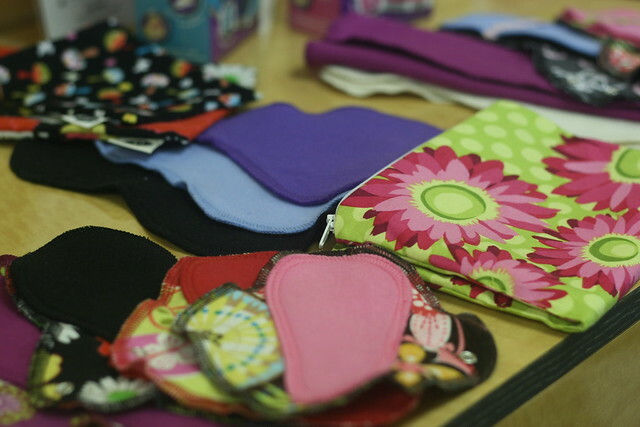 If that's not enough, for over ten years, Lunapads has been sending kits to girls in developing nations so that they can go to school without being shamed when they have their periods. Read more about Pads4Girls on their site. Super easy to use. Don't believe me? Watch this video. Super easy to care for. Just soak for a few minutes and then throw into the laundry in a mesh wash bag. NO waste! I cannot believe how much less garbage is produced when you don't use disposables! So much better for the environment. I can't say they're significantly cheaper in the end, but they're definitely on par with using disposables, and if you care for your Lunapads and Lunapanties well, they'll last a really long time. 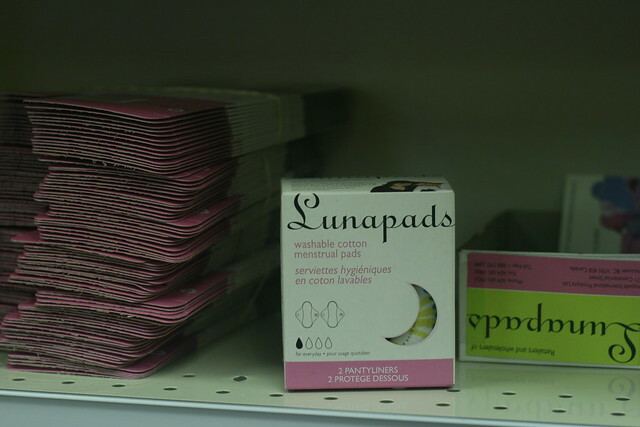 Lunapads and Lunapanties can last years, and the liners are affordable to replace when needed. Quick and easy online orders! If you're in Vancouver, you can opt to pick up your order in person and shamelessly gush to them about how much you love your Lunapads. They also sell carrying pouches, mesh bags, and everything you need to use your Lunapads when your'e out and about, and clean them easily at home. It's much more convenient than you'd imagine. They are SO SOFT. I can't begin to explain how much more comfortable they are. Fabric is more breathable than plastic, and doesn't get all scratchy! They also sell the Divacup if that's more your style, and if you're an active girl I highly recommend trying Lunapanties out as a secure and comfortable alternative. 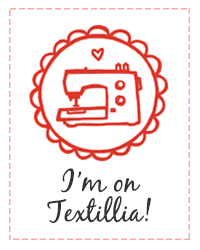 You're supporting a local business, local employees and production, improving your own self-care, and also helping a great cause (Pads4Girls). Last but not least, if you're wondering what these "Lunapanties" I keep mentioning are, they are myabsolute favourite and make me just a bit less miserable when it's "that time of the month"! Thanks Lunagals for all your awesome work over the years! If you have tried Lunapads (or even just thought about it) would love to hear your thoughts.